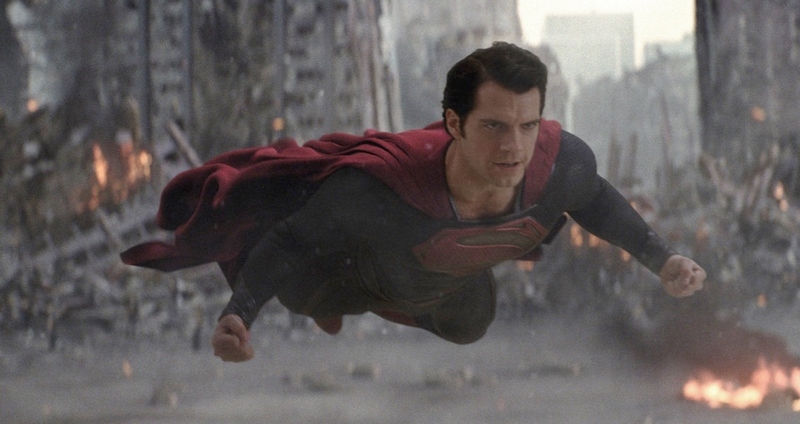 Ok, hopefully you've read my entry on Man of Steel. If not you can check it out here. After someone expressed their displeasure at seeing a spoiler in a previous review, despite the precautions I tried to take, I thought it'd be best if I discussed spoilers in a separate entry to ensure no one sees anything they don't want to. So here's your warning: do not read on if you don't want several important plot points from the finale of Man of Steel revealed to you. There's been a lot of sturm und drang about the climax of Man of Steel, particularly the final battle between Superman and General Zod. The big sticking point for many fans of the character comes at the pivotal moment when Supes, struggling to keep Zod from immolating a family of innocent bystanders with his heat vision, has no choice but to break his fellow Kryptonian's neck, killing him instantly. There were instant cries of foul. Superman never kills anybody! This is a total betrayal of the character! Except it's worth noting that no one really makes those claims about the ending of Superman II, where after rendering Zod and his cronies powerless, Superman hoists Zod up by his lapel and with a smile, flings across the Fortress of Solitude where he falls to his apparent death. This was of course not the ending the original director to that film, Richard Donner, had intended, as deleted scenes show Zod and his thugs being arrested. However, I don't think I've ever heard anyone complain about that moment as it stands in the release version and for good reason. After everything that's come before it's a crowd-pleasing moment for us to see Superman punish the bad guy. The moment that shocked me more comes just before this, as Superman makes the quick decision to destroy the colony ship that Zod is piloting, destroying the many stored embryonic Kryptonians aboard it and ensuring that Kryptonian society cannot be rebuilt. Jor-El had expressed the hope that his son could form the bridge between the two worlds but when pressed to consider the well-being of one or the other, Superman chooses to protect humanity. This act leads to one of Zod's best character moments, where he crosses the line into outright murderous insanity at having his whole reason for being, the protection of his people, obliterated. It's startling because you'd imagine Superman would want to find a way to preserve those embryos and pursue a peaceful co-existence but it is true that he has to make a decision quickly in a chaotic situation. I'm also a bit surprised that no one has tried to characterize this moment as a pro-choice subtext considering how often people will try to attribute such subtexts to a film, even something as fluffy as a summer blockbuster. Ok, that's it. Keep flying, kids.